Are Girl Scout Cookies Healthy? Those cute little girls selling cookies around your neighbor are delivering junk-food snacks that are astonishingly unhealthy. ( Just four Samoas have 50% of your recommended saturated fat intake for the day... ) To be fair, the Girl Scouts do offer a healthier choice -- the Cranberry Citrus Crisp, which is their one cookie with absolutely no saturated fat whatsoever. Unfortunately, it's not being sold by most of the troops (with many offering just the six most popular cookies). And apparently half the troops in America get their cookies from a bakery which isn't even offering it. Wait, you're still thinking about buying some delicious cookies, aren't you? Okay, then here's some neat trivia. In 2012, that Samoa -- also called a "Caramel deLite" -- was their second most-popular cookie (representing 19% of all cookie sales). But the Thin Mint was still their most popular cookie, representing 25% of all cookie sales. Other popular cookies included the Tagalong/Peanut Butter Patty (13%), the Do-si-do/Peanut Butter Sandwich (11%) and the Shortbread/Trefoils (9%). Together, just these five cookies accounted for 77% of all cookies sold. All this information comes from the official FAQ for Girl Scout Cookies, which helpfully points out that you can even buy ice cream with Girl Scout cookies in it. And surprisingly, it's actually more healthy than the cookies themselves. 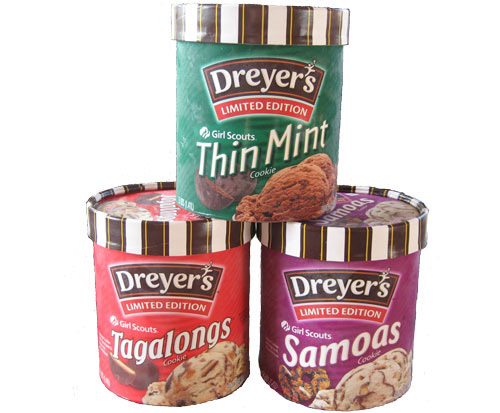 An entire half cup of ice cream -- even the "Girl Scout Cookies Samoas" flavor from Breyers -- contains less fat and less sugar than four actual Samoa cookies! It's even got less sodium and fewer carbohydrates -- so the message is clear. If you want to fight childhood obesity, feed your children Girl Scout Cookie ice cream instead of actual Girl Scout cookies! And presumably this nutritional information is for adults, meaning a four-cookie serving would be even less healthy for your kids. But what's really stunning is the way their nutritional information is being presented. For example, in 2011, the Los Angeles Times (citing The Chicago Tribune), made this startling allegation. The Girl Scouts, on their honor, pledge that the top-selling cookies have no trans-fats. The Samoas, Thin Mints, and Tagalongs seem to be exploiting what's basically a loophole in the food-labeling rules of the FDA, according to the Tribune. If a product's serving size contains less than half a gram of trans-fats, they're allowed to report that as zero percent. So instead of calculating the amount of the dangerous substance in a standard four-cookie serving, for those cookies the calculation is instead performed on a smaller two-cookie serving size. Magically, the dangerous trans fats disappear...and it also results in the apperance of less fat, sugar, and other unhealthy ingredients. To be fair, the Girl Scouts do acknowledge this trick on their web site -- sort of. They write honestly that "Selected varieties can claim 100% trans fat–free status," from which you can infer that yes, there are still trans fats in the other cookies. (They even put the phrase "zero trans fat per serving" in quotation marks, calling attention to the fact that it's more of a figure of speech...) According to the Tribune, the offending ingredient with the trans fat is partially-hydrogenated oil -- and to this day, you can still see it on the ingredient list for at least five different girl scout cookies. This becomes more significant when you remember that in just 2007, the Girl Scouts sold over 200 million boxes of cookies. 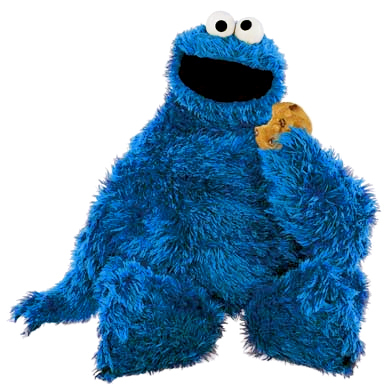 (And the first three cookies on that list accounted for 57% of all cookies sold in 2012.) 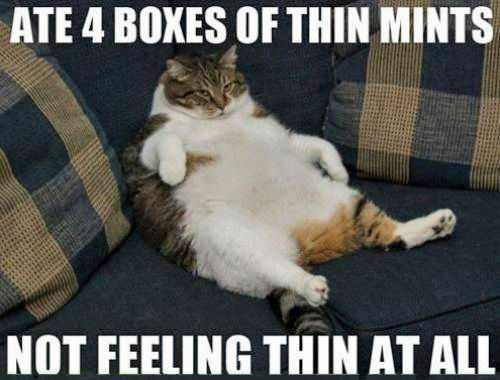 Maybe it's a good thing that in 2009, the Girl Scouts actually reduced the number of cookies included in each box of Thin Mints, Do-Si-Dos and Tagalongs. Because while they may be tasty, that doesn't mean that they're healthy!